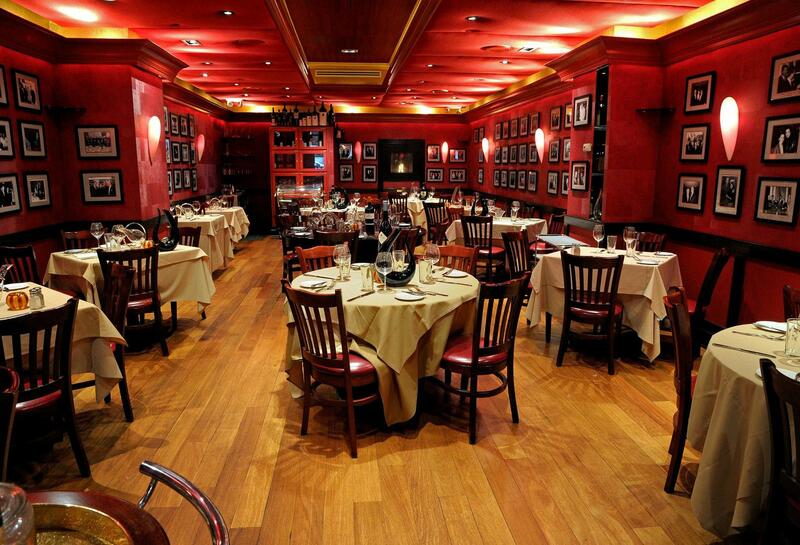 Rent Club A Steakhouse | Corporate Events | Wedding Locations, Event Spaces and Party Venues. Club A Steakhouse provides a truly unique dining experience. Family owned and operated the owner Bruno Selimaj is onsite and greets each guest every night. Club A manages to encompass the characteristics of a traditional steakhouse and new world modernism that is evident in both the menu and décor. Club A Steakhouse was opened in April 2008 after Bruno decided to take on a new challenge. For 30 years Bruno owned and operated, Bruno Ristorante, but now he wanted to do something that his whole family could be a part and would truly leave a legacy. The "A" in Club A Steakhouse is after his three sons Arben, Agron, and Alban. All of whom work at the restaurant and help to carry on the core values of family hospitality and excellence in food service. The Main Dining Room and Bar: 80 Seated Guests and 35 Cocktail/Bar Guests. Located on the ground floor of the building, the main dinning room and the bar are the centerpiece to this restaurant. Rich red textures, private wine lockers, and a working fireplace make this the perfect event space for that large dinner party or corporate event. The Piano Room: 40 Seated Guests 60 Cocktail Guests. Our famous Piano room is hosted daily by world renowned Daniel Nye and features large banquet seating for small diner parties or larger intimate events. The Living Room: 50 Seated Guests 70 Cocktail Guests. The living room was designed for the ultimate dinner or cocktail party, when a grand room is needed to impress. The Club House Floor: 20 Seated Guests. The Club House is our private dining room 3 stories above the street with its own exclusive wine room, private roof deck and fire place. For that private dinner, special occasion, or intimate family affair, this room is a must have. Bruno's Wine Cellar: 20 Seated Guests. This private dining area is located in a fully functional wine cellar. When seated you'll be surrounded by Bruno's collection of various wines that have been gathered for more than three decades. This space is truly perfect for intimate gatherings, business meetings or smaller presentations.